JAI 122..Just add Me! woohoo! Its Just Add Me this week on JAI and although its not my week to play along, of course I had to this week! Heres the card I CASEd off myself here. Ive used my new diagonal simply scored scoring tool which as a demo we are allowed to to pre order as a sneak peek for our new Annual catalogue out in September! 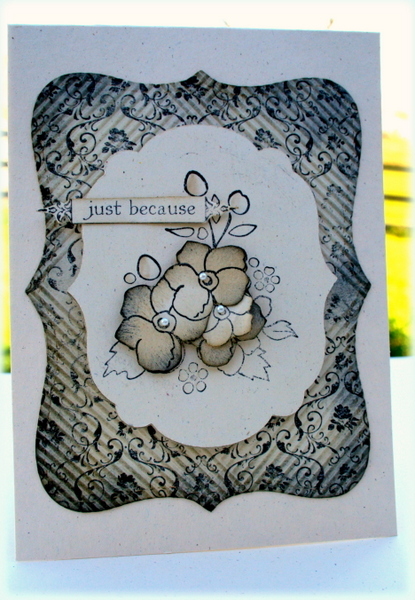 Ive used stazon and the Parlour prints stamp set for the background and then scored it diagonally in the corners. I then sponged over with crumb cake, soft suede and stazon black. The flowers in the middle are from the Bordering on Romance stamp set and sponged over with crumb cake and stazon black and some popped up with dimensionals. Hope you all find something to inspire you on my blog and hope to see some scrapbooking LOs too. Check out what the rest of the Design Team have come up with here …loving what theyve done from my stuff! I have a search function on my blog and most of my JAI and other design team creations are under ..challenges… but feel free to have a good look around..even I dont remember half the stuff Ive done in the past! 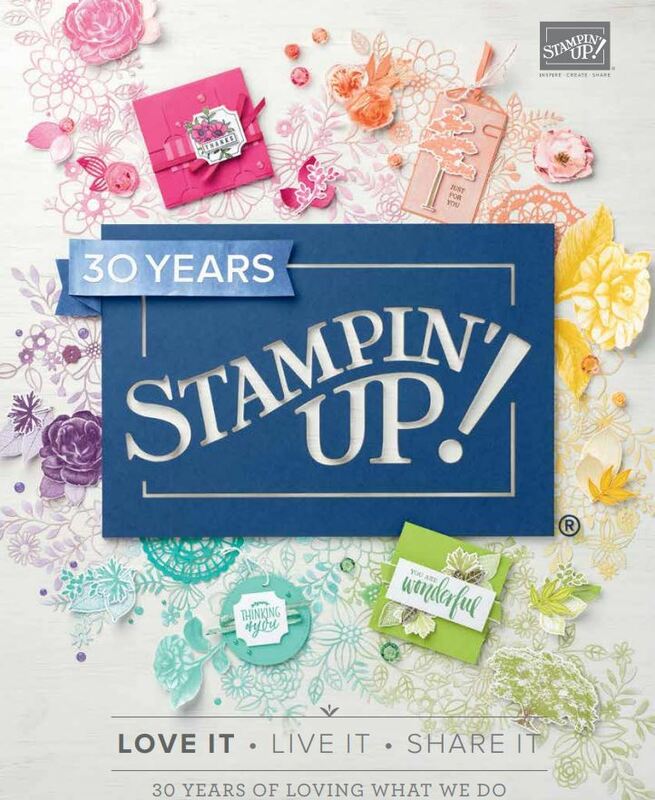 lol But going back to when Istarted being a Stampin up demonstrator and card maker, ..its amazing the journey that Ive come I reckon! Love it, and can’t wait to get my diagonal scoring plate so I can CASE this! I never would’ve thought to sponge with black ink, but it gives such a dramatic effect with the neutrals. Thanks for the inspiration, Delys! 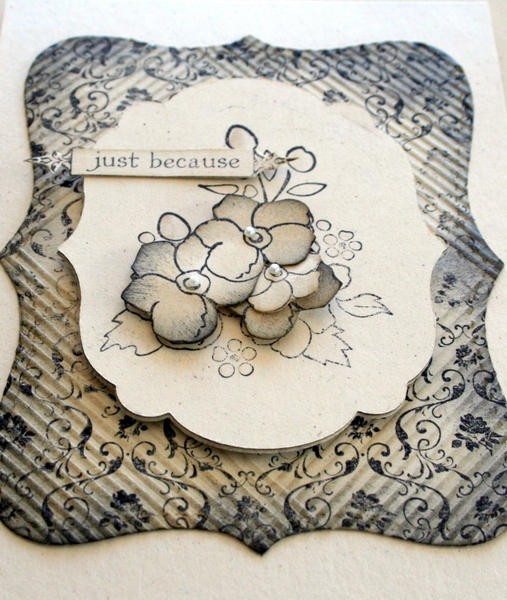 Ooooh, lovely card, Delys, with some sneak peeks of a new set, which looks delish. Love the scored background. Ooh cool effect using the scoring plate Delys. That panel makes a stunning background for your lovely little flowers in the middle. Love it all Delys, the combination of colours and stamps are beautiful together and that diagnol scoring is an awesome effect, lovely case of yourself.